The best way to get where you want to go is to be right where you are. Everybody knows that, but sometimes a reminder is helpful. Again, for most of us the logical challenges can come right up with a statement like that, running along the lines of "If I don't plan and figure things out, how will anything ever get done around here?" Our logical minds can definitely have a hard time dealing with paradoxes. The thing is, reality isn't bound by logic. It just is. Science will keep trying to measure and predict, how things are will keep on being how things are, and this will often perplex our ability to predict and control through logic. In this case the truth is, being exactly where we are, with all our senses focused precisely on what's in front of us right now, is a good way to feel calm and happy. And it's also the best way to get anywhere. If we need a rational explanation for that, it may have something to do with being "right here" enough to see things for how they are gives us greater ability to act appropriately. When our minds wander off, we deal less with reality and more with fitting things into what we imagine as a path to some future desire. I like this article by Tara Stiles, for the Huffington Post. Especially the phrase: "The best way to get where you want to go is to be right where you are." I had a big Crohn's flare up Tuesday night as I was worrying about getting everything ready for the holiday dinner. Everything turned out wonderfully, and I had so much help. I really didn't need to worry, but the worry is what made my disease flare up, not the actual work. At federally-funded health centers around the nation, those without health insurance can receive checkups, immunizations and prescription drugs at a discounted rate. Locations can be found on the department of Health and Human Services' Web site. Free flu shots, help with prescriptions, and other help is available for people who are out of work and without health insurance. Just wanted to share this like. I spent almost all of 2009 unemployed and I know how rough it is. The government assistance with 60% of COBRA helped me a lot. It is no good having a chronic illness like Crohns and having any gap in insurance. Until we have real health insurance reform to remove pre existing condition loopholes you should do everything you can to never have a gap in coverage. But if you do, then check out what help is available. 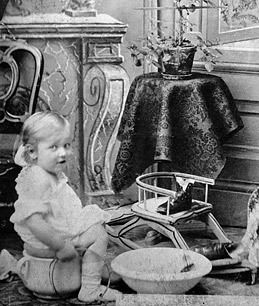 To celebrate World Toilet Day, Time.com has an article on the history of the toilet. Just a little light reading for your Friday. For weeks, the Nebraska board of regents has been the focus of a fierce campaign by opponents of embryonic stem cell research, most recently by a flood of e-mail and telephone calls, a petition drive and radio advertisements. The effort, which is being met with an equally heated push by supporters, is a new front in the battle over the politically contentious research: it is being fought before a public university’s governing board, not in a state legislature or in a ballot measure, where opponents have taken their fights before. “This could be another possible tool,” said David Prentice, senior fellow for life sciences at the Family Research Council. Those of us hoping for life saving and life altering cures that might be possible with stem cells should be paying attention to what is going on in Nebraska this week. The linked New York Times article describes a fierce battle going on in the Nebraska board of Regents over whether the University of Nebraska will be able to take advantage of President Obama's lifting of previous limits on embryonic stem cell research. Dr. Dennis Cunningham of Nationwide Children's Hospital in Columbus says yes, but with conditions. "It's important that these patients get the flu shot...the injection that goes right into the arm, rather than the flu mist." The mist is made of live virus and children on immunosuppressants should not take it. Dr. Cunningham says that, not only should patients get the shot, their families should get this protection, too. The takeaway point here is that children who are taking immune suppressing medications should get the shot version of the H1N1 vaccine, not the flumist inhaled version. The House of Representatives passed a sweeping health care bill Saturday night with a tight vote of 220-215, making it the biggest expansion of health care coverage since Medicare was created more than 40 years ago. What a battle! We've gotten a bill passed by the House, and the real battle is going to be in the senate. (And then all over again to reconcile whatever differences are in the two versions) I really am missing Ted Kennedy and his leadership and passion for this issue.